It’s finally official. 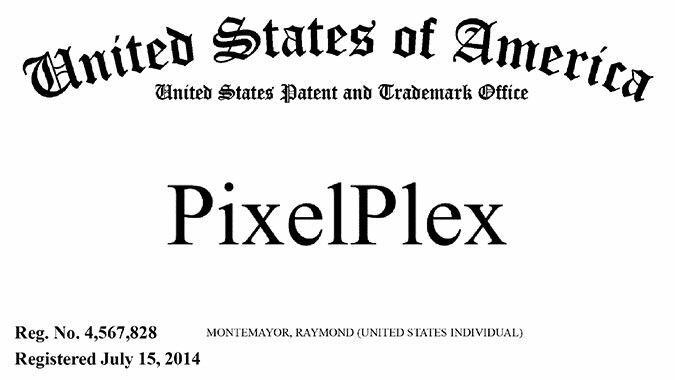 ‘PixelPlex’ is a registered trademark with the US Patent & Trademark Office! Now to start using that little ‘R’ in a circle everywhere.